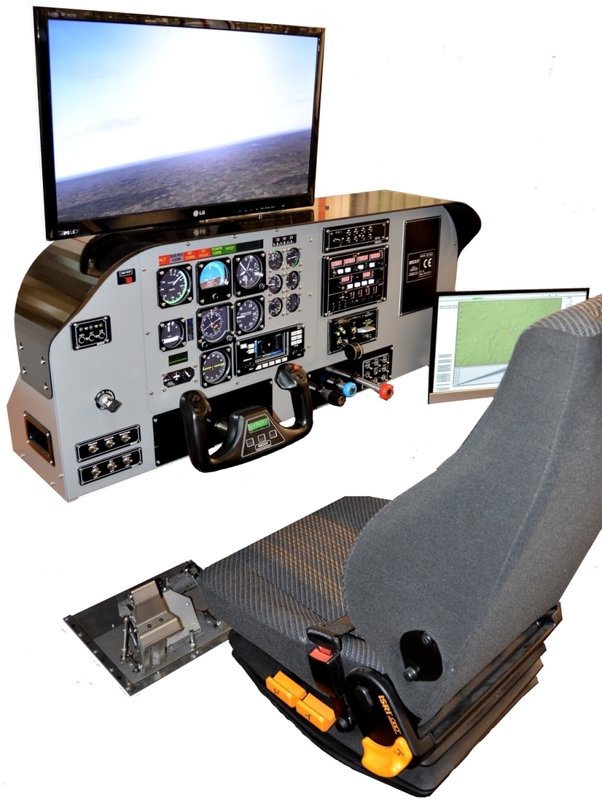 The PCT100A cockpit trainer has been designed for the initial training of pilots. 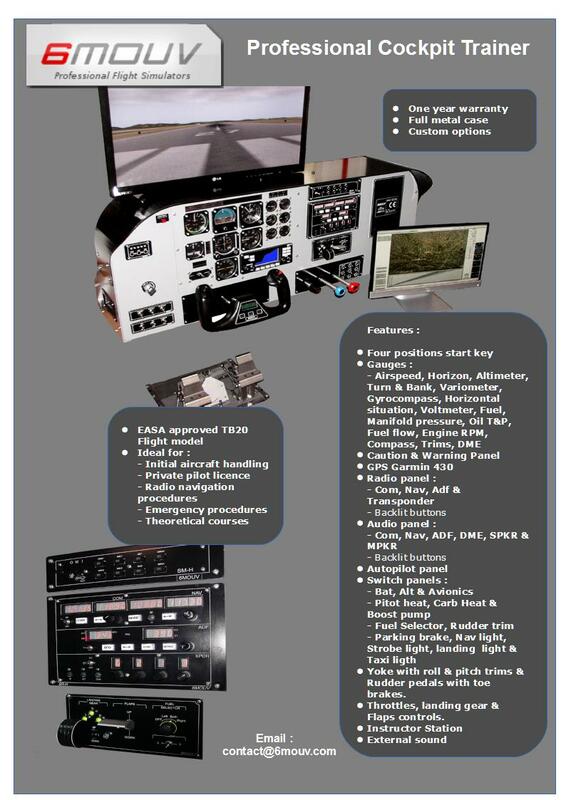 - Initial aircraft handling : Experiencing takeoff, climb, descent, landing, turns, aircraft behavior and aircraft reaction to controls. 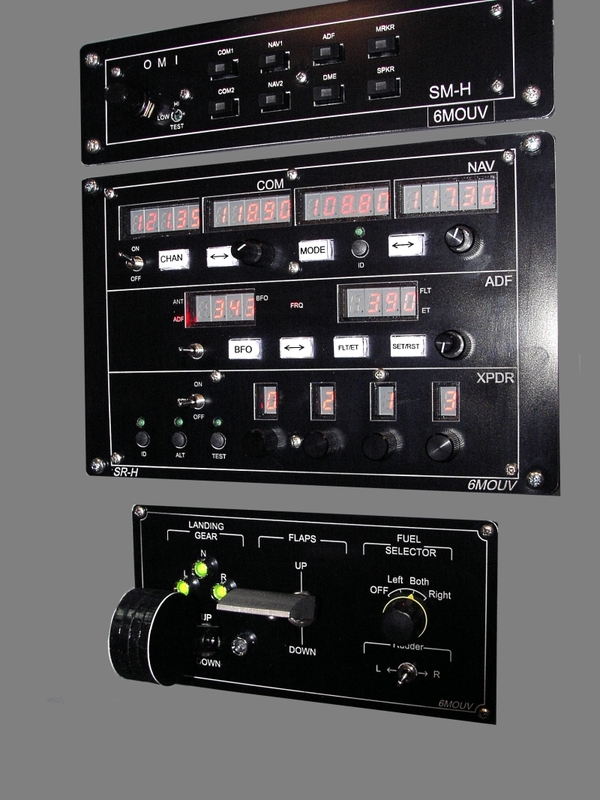 - Radio navigation procedures : Medium altitude VFR navigation with radio-navigation means (VOR, DME, ILD, DME, ADF, GPS), practice radio communications. 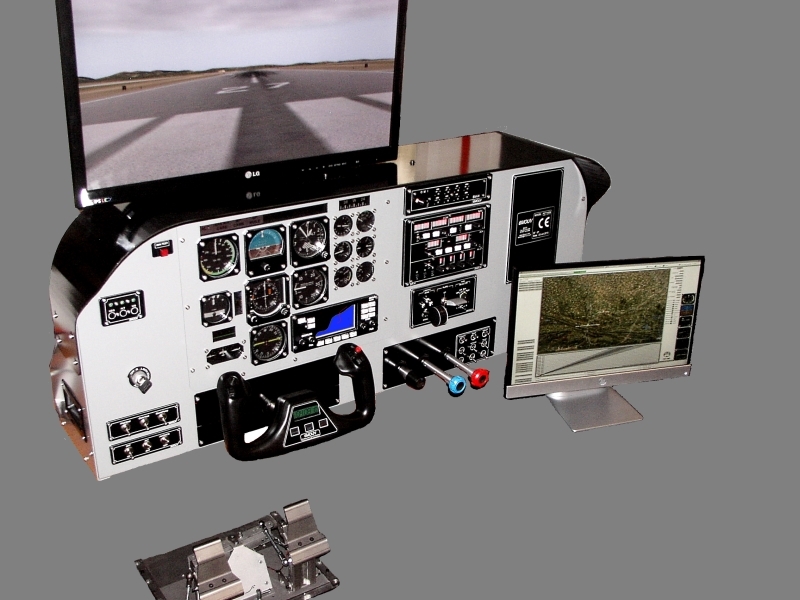 The cockpit trainer has a full metal dashboard, and a year warranty. - Gauges : Airspeed, Horizon, Altimeter, Turn & Bank, Variometer, Gyrocompass, Horizontal situation indicator (HSI), Voltmeter, Fuel, Manifold pressure, Oil T&P, Fuel flow, Engine RPM, Compass, Trims, DME. 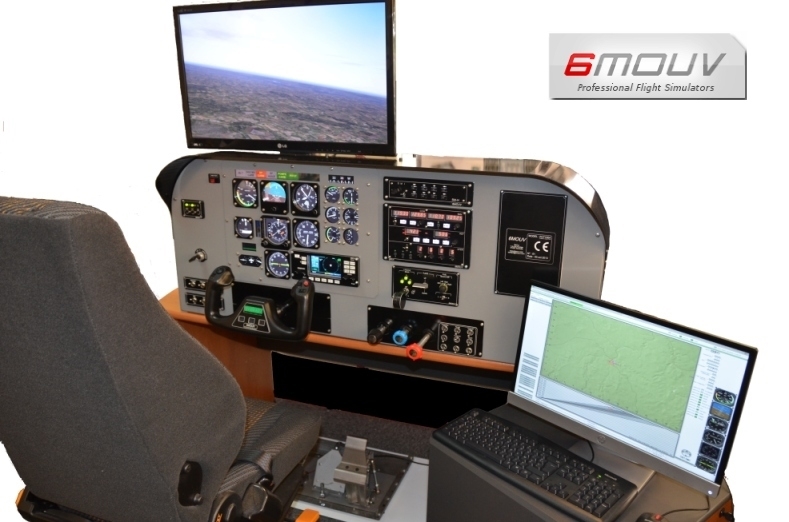 - Controls : Single flight controls, autopilot, GPS Garmin 430.